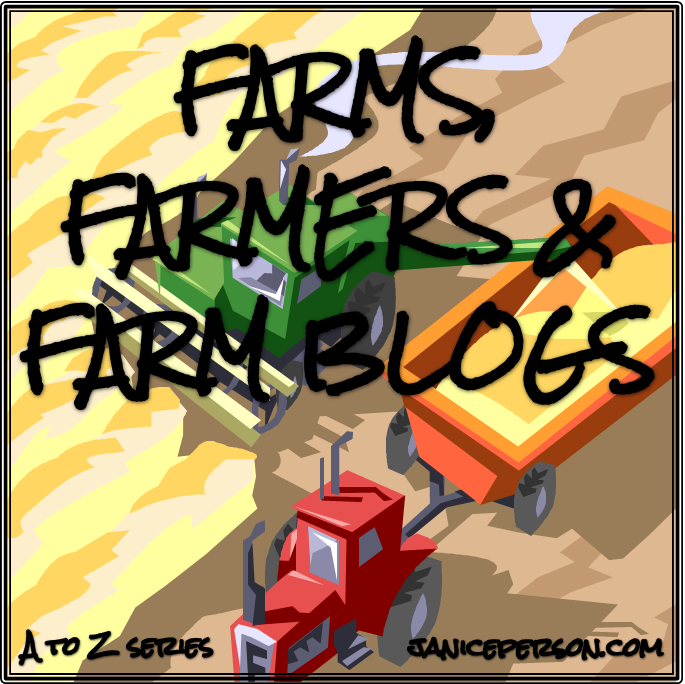 Today we have two prairie-related farms to talk about… So let’s get right to it! I didn’t know that Grand Prairie Farms was the name of Katie Pratt’s family farm! How had I missed that? I know her through her blog Rural Route 2: Life & Times of an Illinois Farm Girl and some of the farmer meetings we both end up at. Their farm is not far from Chicago — in the town of Dixon, IL — and they grow corn, soybeans and seed corn (or the corn seed, farmers including ourselves, will plant the next year). I think the reason why I never had a plan B, why I never even considered living and or working anywhere else is because the farm was in my blood and in my genes . . . literally. 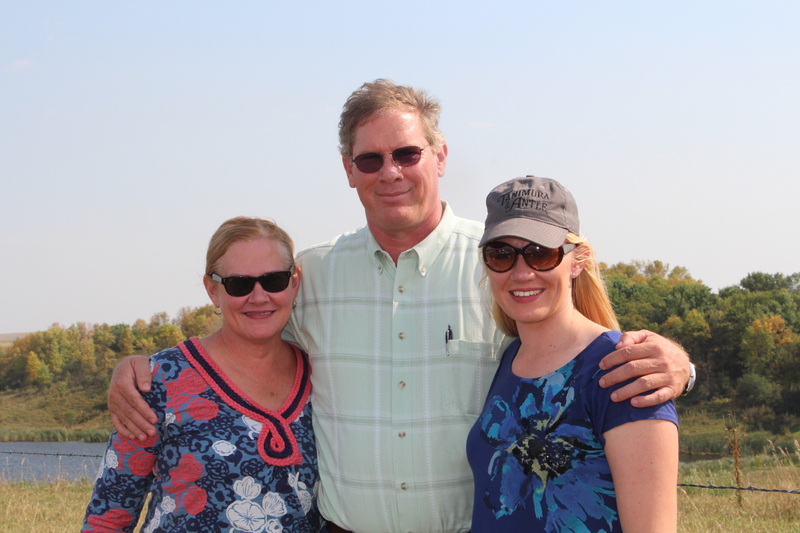 I am the fourth generation of my family to farm and my husband is the seventh generation of his family. The best part of farming is family. I don’t know of another career where my kids could spend each day learning about life from generations of their family. We work together, we live together, we pray together. We cry, laugh, celebrate and mourn together. Farming can be a profound experience and knowing we are a part of that legacy of stewards, caretakers and providers is something I hold very dear. I’m always taking about the corn we raise, but it wasn’t until I put together a presentation about our farm that I realized that when I say we are corn farmers, we are truly corn farmers. We raise commercial corn, feed corn, #2 dent corn – kids in the classes I teach say, “regular corn”. That is our number one crop of the farm and probably much of what you see when traveling through Indiana, Illinois and Iowa. We sell this corn to a variety of markets for end use of feed, fuel (ethanol) and food. Processors will break each corn kernel into sugars, starches and oils to be used in food and household products. Our number two crop is seed corn and could be considered our specialty crop. My husband’s family has grown for the same regional family owned company since 1994. We always plant a few rows of sweet corn, just enough that family and our close friends can have enough to fill their freezers for the winter. 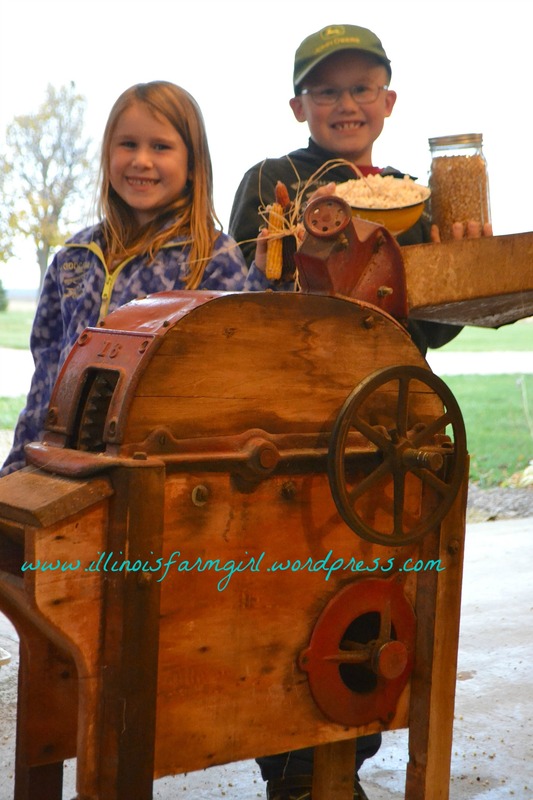 Two years ago the kids started planting popcorn to sell. They can’t wait for the ground to warm to put their third (and largest) crop in the ground. Finally, I always plant Indian corn and broom corn to use as fall decoration. All of our corn, except for the seed corn, is planted in the 400 acres that surrounds our house. One of the farms I went to during my Dakota vacation a few years ago was the Lukens farm in Griggs, North Dakota. I loved getting to meet Jane and Fred after having read Jane’s blog Griggs Dakota for years! And of course, I had met their daughter Katie of The Pinke Post quite a while back! We all hopped in the pickup for the Lukens could show me around their farm! While I’ve eaten a good number of pinto beans over time, I hadn’t really thought about what it would look like to grow a field of pinto beans. And actually, it didn’t look much different from a field of soybeans! And I hadn’t seen barley in the field before either, so I ended up taking a lot of photos as did Katie. Before we left town, we checked out the corn and soybean crops and went to visit Katie’s grandparents! Quite a day on the farm! 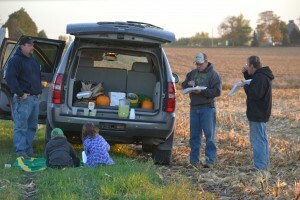 You can find The Lukens’ farm blog at GriggsDakota.com and they have a Facebook page and Tweet a bit for it too!